The desert is a place of wide variety and vast array of life. Many plants and animals have adapted to the specific challenges for survival in the desert ecosystem. Desert animals have adaptations including special coloring, structures and behaviors, and desert plants have developed ways to collect and store water in order to survive in this harsh climate. 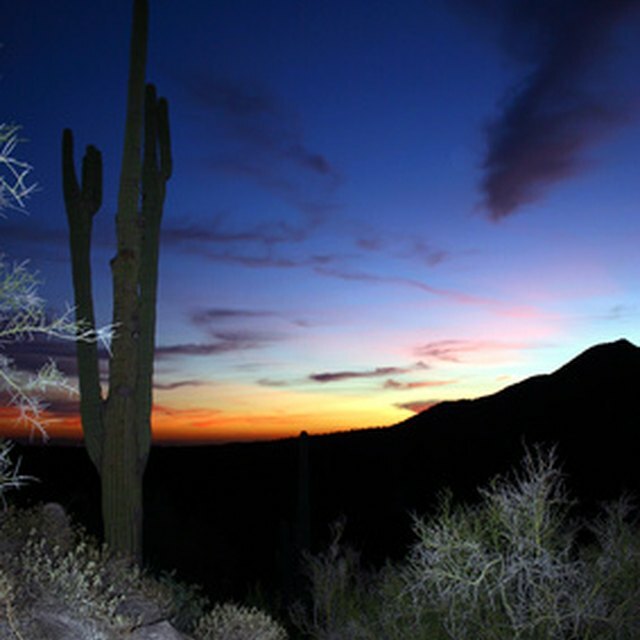 Desert habitats receive less than 10 inches of rain per year. Many deserts receive much less rainfall. Desert categories are hot and dry, semi-arid, coastal and cold. The highest recorded temperature, 134°F, occurred in a hot desert at Furnace Creek, Death Valley, USA, in 1913. On the other hand, cold deserts may receive snow. Because extremely low rainfall typifies the desert habitat, all desert organisms must be adapted to survive with very little water. The barrel cactus is a staple of the American desert. Easy to recognize by its cylindrical appearance, it can grow anywhere from 5 to 11 feet tall with many parallel ridges. The barrel cactus is festooned with 3-4 inch spikes. The creosote bush, found in U.S. and Mexico deserts, is a shrub made up of a tight collection of four to 12 plants that grow from one root base. It has 1- to 2-inch leaves and small yellow flowers. The Joshua tree now grows only in the vicinity of its namesake national park. The tree was originally named by Mormon settlers who thought it resembled the biblical Joshua beckoning them to the Promised Land. 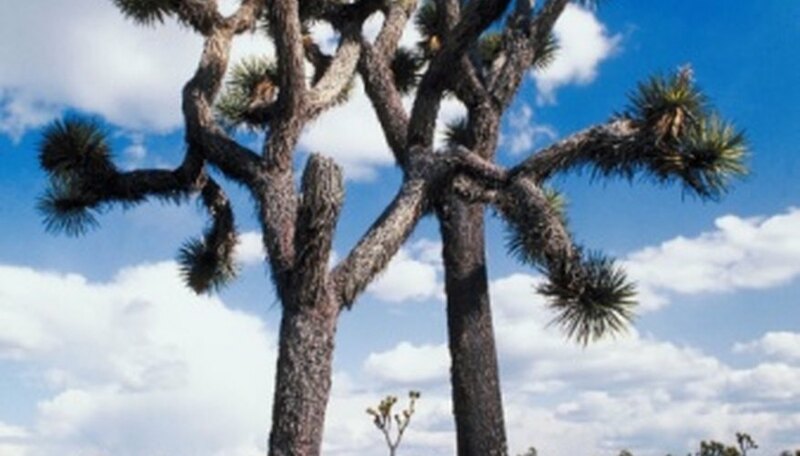 A Joshua tree can reach 15 to 40 feet in height and 1 to 3 feet in diameter. The palo verde tree grows in the United States and Mexico. The palo verde has yellow flowers and smooth green bark. The name means "green wood" in Spanish. The bark of the shrub is waxy and covered in thorns. It collects water with its extensive root system. The soaptree yucca tree grows in the southwestern United States and northern Mexico. It can grow up to 10 to 18 feet tall and has palm-like leaves and small white flowers. The Gila monster is one of only two venomous lizards in the world and can grow up to 2 feet long and weigh 3 pounds. It can be colored pink, orange or red. The Gila monster's bright coloring serves to warn predators away from exposure to the lizard's venom. A bobcat is like a domestic cat, but bigger. In fact, it weighs 15 to 20 pounds and is 2 feet tall. It can grow up to 3 to 4 feet long. A bobcat will catch rabbits, mice and squirrels to survive in the desert biome. Coyotes can grow large, up to 4 feet long, and weigh up to 30 pounds. A coyote's coat is a mixture of tans and browns so that it can blend in with the desert landscape. Coyotes are found in the western United States. Desert tortoises have well-developed front legs for digging burrows. A desert tortoise can weigh in at 8 to 15 pounds. It is a protected animal and should not be approached. Th thorny devil lizard is covered in spines. A nonaggressive lizard, it prefers to use camouflage instead of fighting. It can change colors to blend in with the sand. The thorny devil can be yellow, reddish brown or black. This animal is found in Western Australia and North and South Queensland. Lampert, Lynda. "10 Organisms Living in the Desert Biome." Sciencing, https://sciencing.com/10-organisms-living-desert-biome-8412550.html. 03 August 2018.